Amish craftsmen are world-renowned. The Napoleon Table is completely handcrafted by these masters. They sign and date each table upon completion and inspect multiple times for material and workmanship related defects. 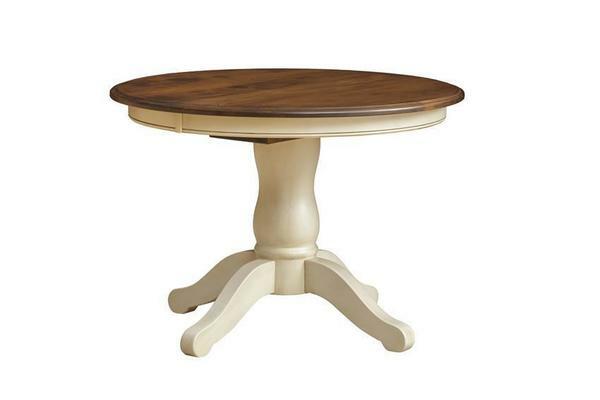 Shop DutchCrafters for your custom made Napoleon Table by choosing from our many options. Call one of our Amish furniture specialists today with help getting an order started or with questions. You can also stop by and sit down with us face to face at our store in Sarasota, Florida. We can't wait to hear from you. Table is great, but they didn't make the legs how I asked them to. I'll have to ask them for a replacement.